Immediately after an accident takes place, you're likely feeling frazzled, flustered, and more than a little frustrated. In all the ensuing chaos, remembering the proper protocol for what you should and shouldn't do is not the easiest task. But keeping yourself collected and focused could end up making or breaking the legal and insurance ramifications of your accident. Between when the accident occurs and when you file your insurance claim, there are a number of things you need to do to ensure the process goes as smoothly and successfully as possible. Stop in a safe place. By law, you need to stop as quickly as safety permits once an accident occurs. If you and your car are able, pull over to the side of the road or other place where you will not be in harm's way. If anyone is injured, call 911. 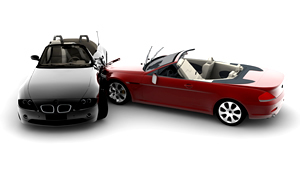 Check to see if you, your passengers, or any of the other involved parties sustained injuries. If the injuries are more than minor, call for an ambulance. If necessary, call the police. Most states require drivers to report accidents if there is a certain amount of property damage (usually $400-$1,500) and/or if anyone is injured. Keep in mind that regardless of the damage to the vehicles involved, in many jurisdictions, the police will not respond to the scenes of accidents that take place on private property. Drivers commonly ask how long they have to report an accident to the police, and this will vary by state. Typically, the range is 24-72 hours. Record whatever details you can. Get the other party's information as soon as possible, including name, address, phone number, VIN, license plate, etc. Also remember to get the information of any witnesses you see. If you have a camera phone or video camera with you at the scene, it never hurts to have your own photographic evidence of the accident. Take pictures of the damage, the license plate, the location, and so on. Talk to the responding officer(s). In most states, you will not be required by law to speak to the police officer at the scene of the accident, but it usually behooves you to do so. If you refuse to offer your account of the incident, the officer will likely speak to the other side, assess the scene, and draw his/her own conclusions. For this reason, it's best to provide the most factual account of the accident that you can to the officer. You do not have to concede guilt in describing what happened. For instance, you might say, "I was traveling north, the other driver was traveling south, turned left, and we collided." For insurance purposes, your carrier's determination of fault is the one that truly matters, although this is often based on the police report if there is one. Get a copy of the police report. The officer should give you a copy of the report at the scene along with the other parties' information. You will need this for insurance purposes. File a claim. As soon as you can, file a claim with your insurance carrier. Most insurers give policyholders 30 to 60 days to file a claim after an accident occurs, but the sooner you initiate the claim, the faster the process will go.